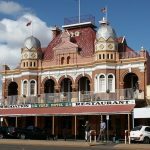 Australia’s competition watchdog, the Australian Competition and Consumer Commission (ACCC) is investigating whether “parity clause” contract provisions imposed by online travel agents (OTAs) on Australian hotels and motels are still legal. ACCC chairman Rod Sims told ABC News that recent changes to Australian competition law might affect the right of OTAs to contractually ban local hotels and motels from advertising a cheaper price on their own websites than the price offered on the sites operated by the OTAs. The two biggest OTAs are industry giants Expedia and Booking Holdings, which each own numerous sub-brands. Rate parity clauses contractually guarantee that accommodation providers will not undercut prices advertised OTA sites, despite operators paying the OTAs fees calculated at a fixed percentage of every booking made through the OTA platform. Sweden recently followed Belgium, France, Italy, Austria and Germany in moving to ban parity clauses. Australian hoteliers want the same in Australia. The Accommodation Association of Australia (AAoA) says flatly: “Room-rate price parity clauses should be banned in Australia immediately”. “As things stand, for consumers to maximise their chances of paying the lowest possible room-rates in Australian accommodation businesses, they should contact the accommodation business direct or try a bricks and mortar accredited Australian travel agency,” AAoA chief executive Richard Munro stated. Munro said the AAoA would “continue to push for major reforms to online travel agencies in 2018 which rein in their free-riding on Australia’s accommodation and tourism industries”. In his video, Smith said the ACCC had allowed OTA contracts to prohibit family motel websites from advertising cheaper prices than those displayed on the OTA sites. Now the ACCC is having another look at it. “We’re looking again at whether we’ve got the ability to force more change,” Sims told the ABC. “We’re looking at that extremely closely because we think there’s a chance that the arrangements they’re continuing to use might be illegal in further ways. 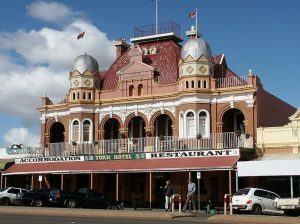 The ACCC looked at the issue previously to ensure hotels and motels could offer different prices to people who phoned them directly or walked through the door. But stipulations in contracts with OTAs can still ban small operators from matching or beating on their own websites the prices displayed on the OTA websites. The ACCC statement on that can be viewed here. It may now be time for the ACCC to go further. I find it incomprehensible that a 3rd party OTA can dictate to a owner of a property what price they can charge. It should be the other way around. The OTA websites are renowned for bait and switch tactics–I have seen it on my own property and my staff spend hours explaining to customers that the prices they see on those websites is not the final price they will be charged. That should be illegal.